View More In Tabletop Scenes - Page 3. 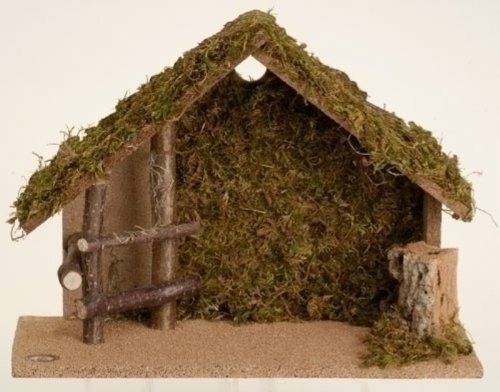 50564 Features: -Italian nativity stable.-Made of wood, moss and bark.-Designed for 5'' scale figurine.-Made in Italy. This item may NOT arrive by Christmas if purchased after 12/19 regardless of shipping method chosen. Items not shipped in time for Christmas will not ship until Wednesday, January 2. If you have any questions about this product by Fontanini, contact us by completing and submitting the form below. If you are looking for a specif part number, please include it with your message. Black Bear Nativity Set 8 Pc Figurine Set Large 5"